In today’s society, questions abound about the value of higher education, particularly liberal arts education. Those who have experienced a quality liberal arts education have ready responses. They realize the value of their college experiences and understand the “takeaways” that enhance their lives. And, the people who work and live alongside those individuals witness the value, too.But this article is not about proving the value of the liberal arts. It’s about alumni who live out their liberal arts education every day: creative thinkers, outstanding communicators, compassionate leaders, and engaged citizens who know how to collaborate to analyze a situation and create solutions that work. 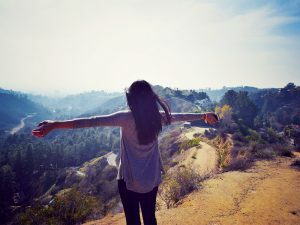 Their educational experiences equipped them to be change agents in their world, and they have stepped into action.This article tells the stories of five Austin College alumni who “walk the walk,” living the liberal arts in their professional and personal lives—in different walks of life and a variety of settings. Working to better the world and themselves, these individuals bring healing, beauty, shelter, and hope to others. Andrea Keith is in her happy place. 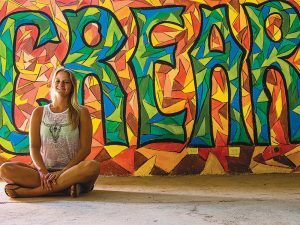 As executive director and co-founder of La Asociacion CREAR in Samara Playa, Costa Rica, she’s found the beautiful balance of helping young people develop—and living on the beach. She decided to return for a study abroad semester at the National University of Costa Rica in Heredia in fall 2006. She stayed through that term, extended into JanTerm … was approved to remain for the spring term … and then, she stayed for the summer. She was essentially home. She “works super hard” at La Asociacion CREAR, a nonprofit organization serving the communities around Playa Samara and Guanacaste, Costa Rica. Costa Rican children are in public school only three hours a day, 87 days a year. CREAR fills many hours with instruction in English, art, and technology. A recently developed Girls Empowerment program teaches girls skills that lead to confidence and build their worldview. It may not be life or death, but to the young people she is teaching how to learn, how to break down barriers, and how to express themselves creatively, it comes close. High school graduation rates in Samara Playa have risen as a result of Andrea’s team leadership and organization of visiting volunteers. The Universidad Latina recently presented Andrea the 2015 Premio Yo Creo (I Believe) Award in recognition of young social entrepreneurs in Costa Rica. The application included a rigorous selection process with a presentation to a panel of five judges from Costa Rica. Upon winning, Keith received $2,500 for her organization, membership in Youth Action Net, and a trip to Honduras for professional development. Visit La Asociacion CREAR to learn more. The “Knowledge Doubling Curve” suggests that human knowledge is capable of doubling every 12 months. In the year 1900 it took 100 years. Dr. Alexander (Faulkner) Lazar, co-director of the Surgical Pathology Fellowship Program at University of Texas MD Anderson Cancer Center, says abilities to communicate and think through complex situations, and constant willingness to retrain are needed to succeed. 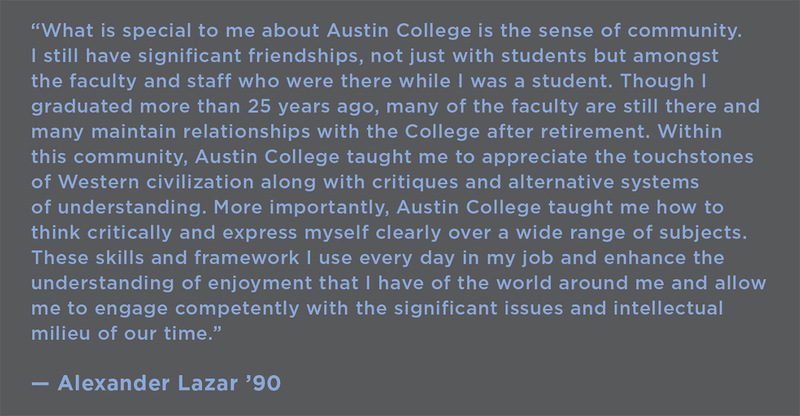 Alex came to Austin College in 1986 knowing he wanted to pursue an M.D./Ph.D. He had already worked in biomedical research as a high school student and earned a scholarship to Austin College from the King Foundation. So, he took all the required math and science for medical school, but beyond that, he pursued a balanced load with majors in philosophy and political science. One-third social science, one-third humanities and one-third physical science equaled a valuable liberal arts education for him. 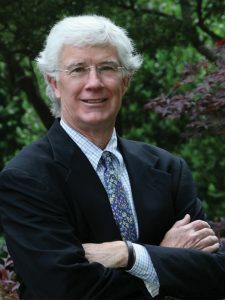 Alex also spent hours as co-director in Dr. Kenneth Street’s social Science Lab. “A lot of surveys passed through the lab, and we did fairly complex statistical analysis, particularly during election years, handling polling of local candidates, including the mayor of Sherman and local congressional districts. 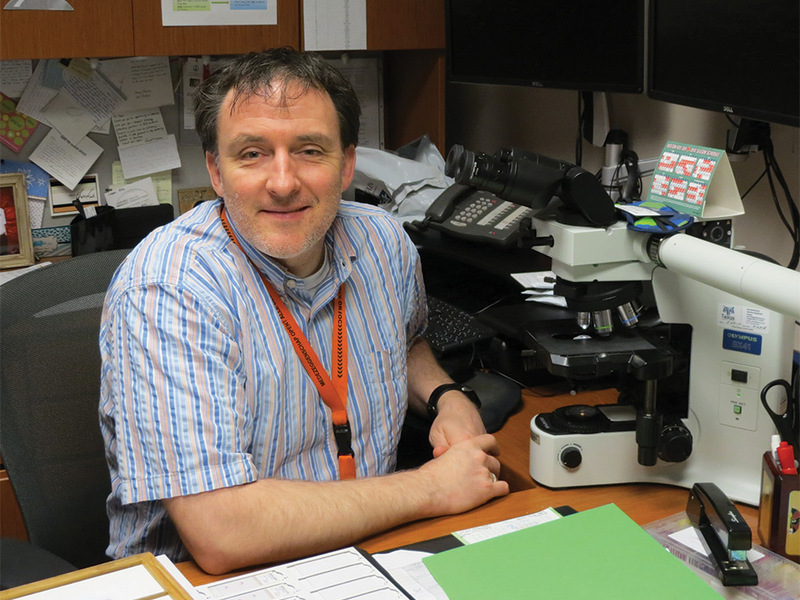 That coursework taught me how to structure data, and I use that knowledge now with genomic data,” he said. 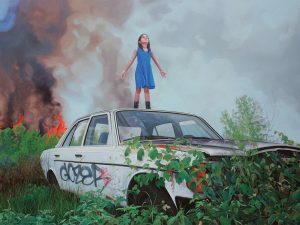 The painting was awarded the prestigious 2015 Hunting Art Prize, an annual competition sponsored by Hunting PLC, an international oil services company, and open to Texas artists. The prize awards $50,000 to bring recognition and support to the career of a distinguished artist. Peterson has been a finalist for the Hunting Prize four other times. 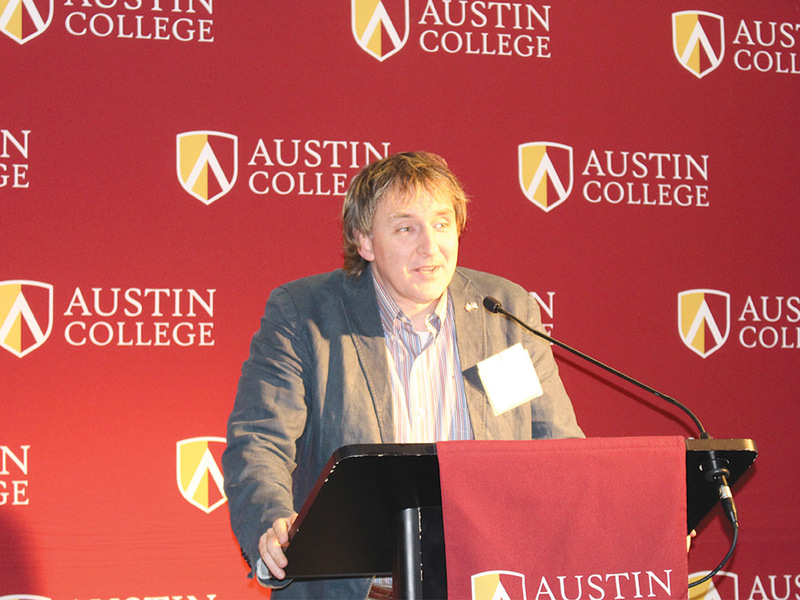 As a 2001 Austin College graduate, he learned his technical skills while majoring in art and psychology. 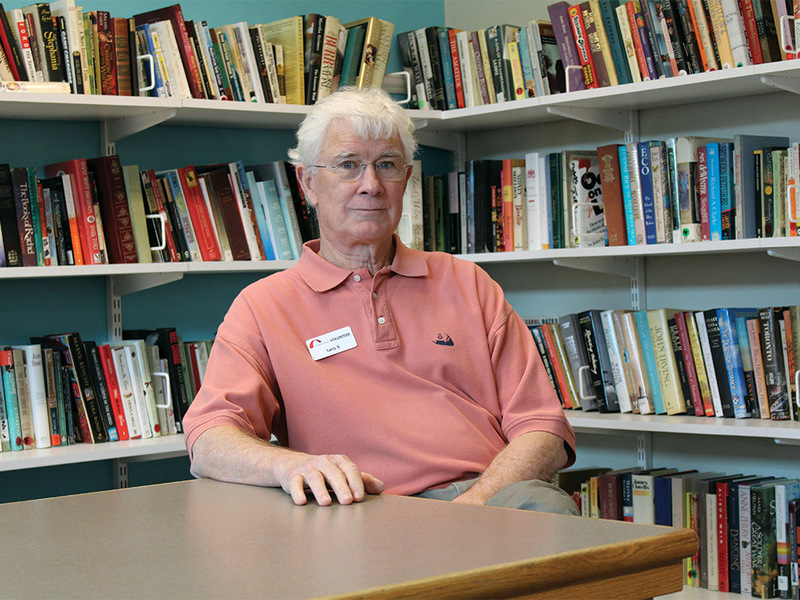 “I was interested in working in the psychology or social work fields,” Kevin said. “I also majored in art mainly because I always had a love for creating art. 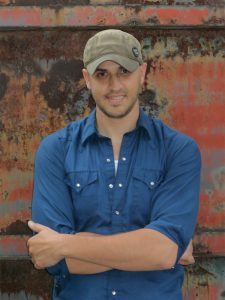 I was not sure at the time it was a viable career path, but I wasn’t worried about that; I just did it because I loved it.” Initially, Kevin did pursue social work as a probation officer in Austin for three years. Then life handed him some perspective, and he determined his passion was worth pursuing. Now, with a large following in his home city of Houston, he also exhibits in Germany, California, New York, and Florida. He works out of Winter Street Studios near downtown Houston in a renovated furniture factory. To see more of Kevin’s work, visit Kevin Peterson Studios or Think Space Gallery. Saranya Sundaram, a student in the Palo Alto University Clinical Psychology Ph.D. program, now stands on the threshold of her dream. Just a few years ago as an entering freshman at Austin College, she considered looking behind other doors, and the diversity of the liberal arts education gave her the experience she needed to find her direction. 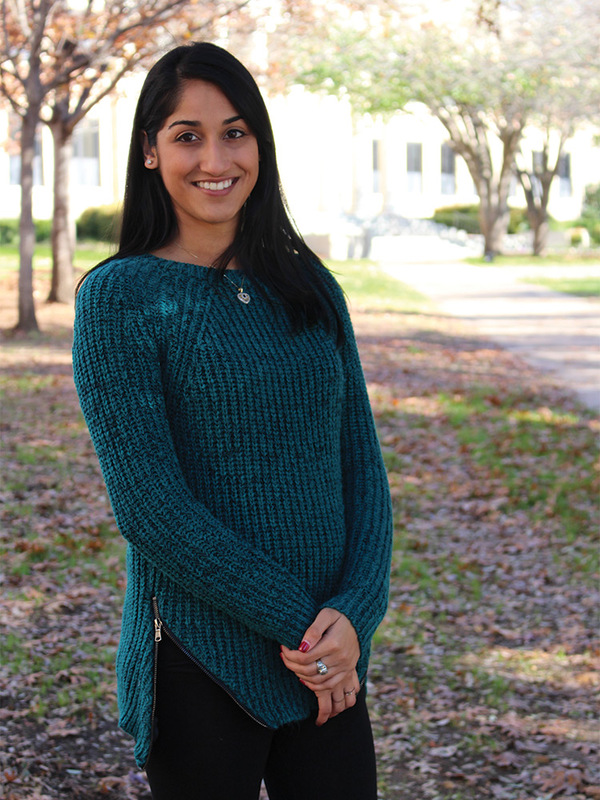 Saranya was motivated to seek out research and clinical opportunities. She talked to mentors and psychologists for help and guidance. “I was able to create an independent research project with Dr. Helfrich from the ground up, work with a team and observe clinical skills,” Saranya said. Michele Helfrich, adjunct assistant professor of psychology, advised Saranya on a project that examined the accuracy of eyewitness testimony between video versus picture lineups. 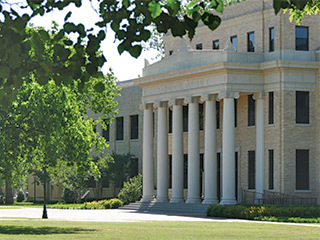 With a clearer picture of her life’s direction and practical opportunities, including an internship at Applied Psychology Group of Texoma, she was accepted into the prestigious master’s program in clinical counseling at the University of Texas Southwestern Medical Center and completed her degree program there. Saranya continues her studies now at Palo Alto where her critical and analytical skills help her to succeed. Using the same independent judgment that pointed her to clinical psychology, she said she hopes to narrow her specific career path from clinician, researcher, or professor. For now, she is gaining intensive research and clinical training in many populations. Saranya has worked as a volunteer with Big Brothers Big Sisters and as a crisis counselor with the Suicide and Crisis Center of North Texas. She has come to care deeply about children, education, health, and the alleviation of poverty. Perspective can refine a person’s focus and make solutions clear. 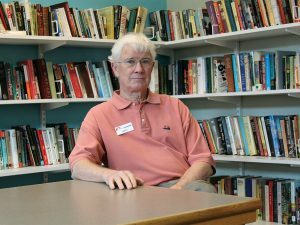 Larry Sykes has put more than 800 hours of focus into volunteering at The Bridge in Dallas and in 2015, received The Bridge Builder Award for working to solve the problem of homelessness. After a 32-year career in banking and commercial real estate, Larry connected his experience with a future that needed it. The Bridge is a homeless recovery cooperative that brings together volunteer groups, government agencies, and social services to end adult, long-term homelessness. By solving complex problems with innovative solutions, The Bridge provides assistance for employment seekers, housing seekers, and those who need shelter day and night. Volunteers have helped more than 1,200 people out of homelessness. Larry’s service work began years ago. 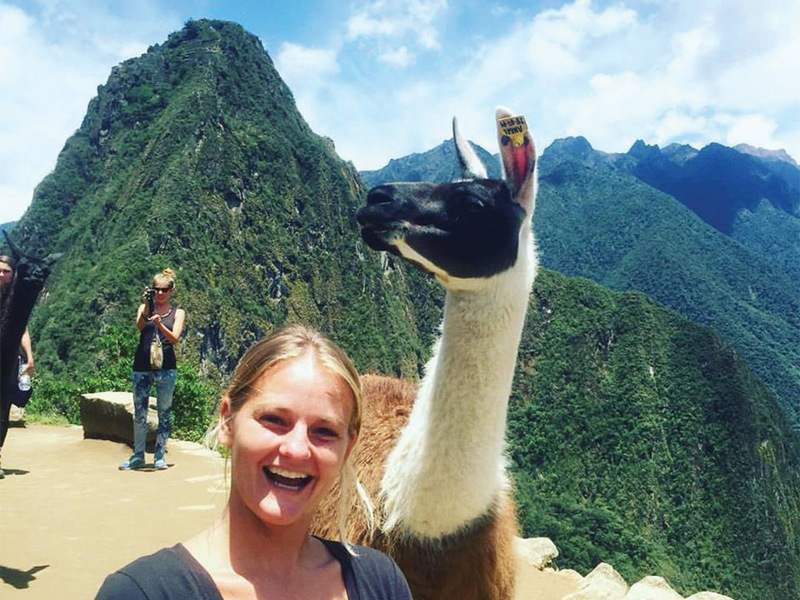 Larry and five other Austin College students traveled to England through the Winant Clayton program to work with non-profits. “I was in London at an organization that helped youth and seniors in a blue-collar area near the London Docks,” he said. 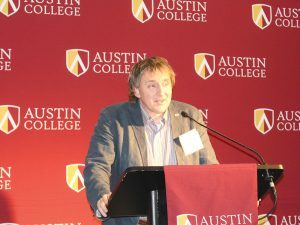 Larry Sykes was honored with an Austin College Distinguished Alumni Award in 2011. Visit their website to learn more about the work of The Bridge.